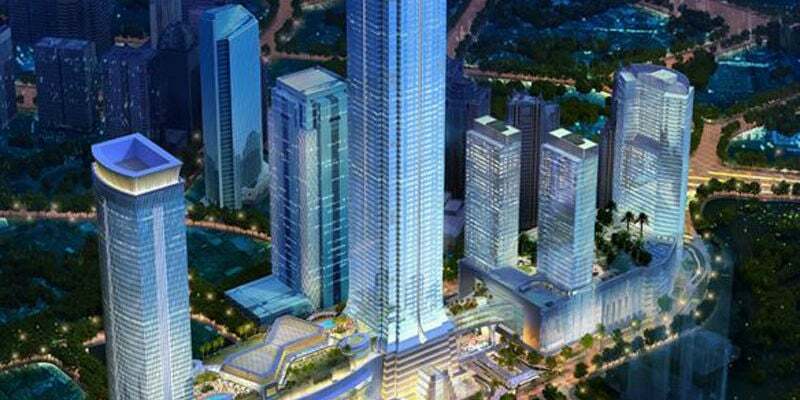 The Signature Tower will be the world’s fifth tallest tower and tallest building in south-east Asia. Photo courtesy of PT Grahamas Adisentosa. The Signature Tower will be a mixed-use development featuring retail, entertainment, offices and hotel space. Photo courtesy of PT Grahamas Adisentosa. Being located in a high-activity seismic zone, the Signature Tower will use a concrete and steel structure. Photo courtesy of PT Grahamas Adisentosa. The iconic landmark has been designed to celebrate the spirit of Indonesia, which is reflected in its design and facade. Photo courtesy of PT Grahamas Adisentosa. The tower will be built with a $2bn investment and completed by 2021. Photo courtesy of PT Grahamas Adisentosa. Signature Tower is a proposed 638m-high skyscraper that will be built in Jakarta, Indonesia. Designed by Smallwood, Reynolds, Stewart, Stewart and Stewart Associates, the tower is expected to be the tallest building in South East Asia upon its completion and the fifth tallest in the world. Located in the Sudirman Central Business District, the tower will be the centre piece of the area and will set a standard in luxury development in Indonesia. "The tower will be the centre piece of the area and will set a standard in luxury development in Indonesia." A $2bn investment is estimated for the mixed-used development that will be owned by PT Grahamas Adisentosa. Construction on the project is expected to be started in 2016 and be completed in 2021. Design of the tower draws inspiration from the Indonesian culture, especially the elements and themes of the national crest that are the garuda, torch, unity, banyan tree and kris. Emulating the garuda, a mythical bird-like creature that soars in the sky, the skyscraper will rise above the city ushering a new era of development in Indonesia. The torch is symbolic of a beacon of light and has been incorporated in the design to illuminate the tower. Unity is reflected in the integration of the different elements of the building, which combine to reach a remarkable height. The strong and elegant structure of the tower is a reference to the banyan tree’s strength. Fusion of a modern design and the rich culture of Indonesia is an ode to the kris, a traditional symbol of Indonesia. The tower is planned to occupy lots 6 and 7 of the business district with future expansion planned to lot 8. The total area of the two lots is 32,149m². The skyscraper will be 111-storey tall and will include retail, convention and entertainment in the podium along with three zones of office, hotel and observation level. Six floors will be below the basement, which will serve as mechanical room, back-of-house and parking space. Parking will be available for 3,000 vehicles throughout the six levels of the basement. Accessibility to neighbouring development will be facilitated via underground tunnels and elevated pedestrian connectors. Retail space will be present in a large, four-storey atrium. Facade of the tower has been designed to commemorate the national spirit of Indonesia by displaying the date of the National Day of Independence, 17 August 1945, which will be visible from all directions. Highly polished 16 stainless-steel leaves rise through the tower’s shaft and enclose the singular spire at the top, indicating the 17th day. The leaves are bound by eight illuminated, decorative glass flower buds that are designed along the 45m-tall spire. The arrangement symbolises the Independence Day. White LED lights will illuminate the leaves and the spire, whereas the glass flower buds will be lit by red lights. The central spire will be outline by 45 alternating red and white LED bands. The lighting will change its colours during non-holidays to suit the occasion. The podium will feature separate magnificent entrance lobbies for hotel guests and office visitors. The main access towards the office elevators will be preceded by a banking hall, which will also be a gateway to the retail section. The observatory will be accessible through a queueing and ticketing space present at the podium level. A separate entrance on the podium’s roof will be available to gain entry into the entertainment and hotel area when the retail section is closed. The conference centre can be reached via exclusive escalators that will function within the podium’s glass walls. The tower features notched corners and rises above the ground to the top of the spire. Top floors of the tower are present at approximately 534.45m above the street level. Its structure possesses a 60m² form with an aspect ratio of 9:1. The structure of the tower is arranged around a super-column and out-rigger form that encloses an inner core wall. The primary lateral system of the tower will be comprised a composite core wall, super columns and steel outrigger trusses owing to the building’s location on one of the world’s most active seismic zones. Exteriors frame of the tower will include nine steel belt trusses, six steel floor trusses and additional composite super columns. Thornton Tomasetti will be the structural engineers for the project, while Beca will be the mechanical and electrical engineers. Fire and life-safety consulting services will also be provided by Beca. Langdon and Seah will be quantity surveyors for the project.